Albion Online Review In Progress | Nerd Much? I should probably preface this Albion Online review by noting that I’ve always found crafting the most enjoyable element of most MMORPGs. World of Warcraft, Guild Wars 2, and even WildStar stole hundreds of hours of my life with just their crafting systems, alone. Why do I mention this? 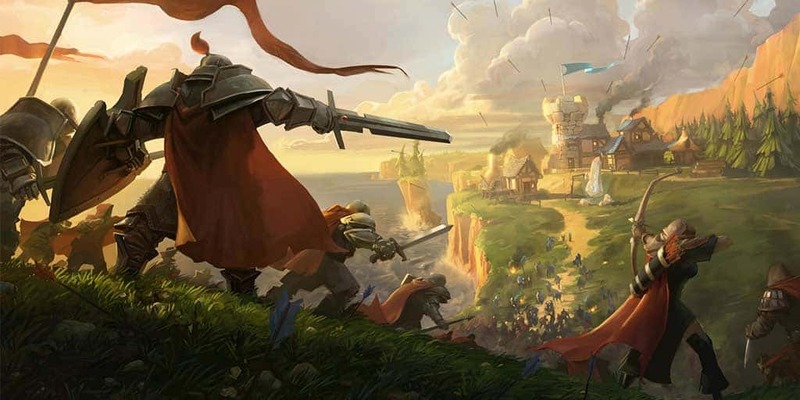 Well, Albion Online is the most heavily crafting-focused MMO I’ve ever played, so your enjoyment out of it is largely going to depend on whether or not you are a fan of crafting in MMOs. With that being said, I’m 10 hours in with my journey in Albion, and so far, it’s definitely scratching that itch. There’s really a lot of good ideas here, so bear with me while I try to unpack it all for this review in progress. 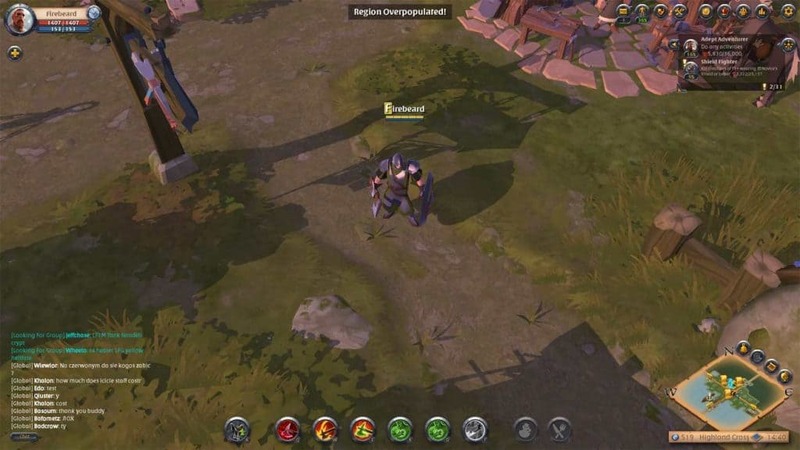 The first and most notable aspect of Albion Online is that it’s a game that doesn’t hold your hand at all. You’re not handed hundreds of quests that tell you to go here, kill this many of these things, come back and turn in the quest for a reward. Instead, you’re pretty much thrown to the wolves, so to speak. You have to figure things out on your own. You’re not told to venture to Larchroad for that cotton that you need, and you’re not told how to get a mount. It’s little things like this that you have to figure out on your own (or through a helpful guild that wants to help the noobs). In fact, you’re not even told how to craft in Albion Online; you have to figure it out on your own (or, as you’ll see in the Global chat, ask someone). Secondly, and quite possibly Albion‘s greatest strength, is that there’s an undeniable sense of accomplishment as you’re playing. You’ve got all sorts of “goals” that play out sort of like achievements, thanks to the incredibly well-designed Destiny Tree that lays out all of your character’s potential. Whether you want to focus on gathering, crafting, killing, or refining your materials, you’ll be able to see the progress of each, what you have to do to advance to the next level, and what your rewards are for hitting that next level. Your success is measured by Fame, which is earned through pretty much everything you do: kill anything, gather anything, craft anything, and you’ll get Fame. The Destiny Tree is certainly daunting at first, but once you figure it out, it quickly becomes your best friend in Albion. Like most MMOs, you’ll likely breeze through those first couple of tiers, with progression feeling quick and painless. And, you’ll certainly feel that sense of progression, especially when you’re getting achievement pop-ups for such simple things as gathering your first three logs (you’ll get a ‘Destiny Fulfilled’ achievement). But when you start entering into tier 3 stuff — that’s when you’ll start feeling the grind. On top of that, you’re also getting a sort of overall Adventurer rating that factors in everything you’re doing. So, for example, if you don’t want to solely focus on leveling up your weaponsmithing, you’ll also get those Fame points (and progress to new tiers) while killing or gathering. This means you don’t HAVE to focus on one aspect of gameplay to feel the same sense of achievement; it’s cumulative as well. Also worth noting is that crafting 99 of one thing takes the same amount of time as crafting one of that thing; you don’t have to sit there and stare at the screen as 99 bronze bars are being smelted one by one. Another thing I love about Albion Online is that your loot is protected. So, let’s say you’re out killing things for skins — you don’t have to kill one thing, skin it, and then go to the next. Instead, you can kill 10 things, skin those 10 things, and not have to worry about your loot being picked up by other players. It appears as though loot is protected for 2 minutes after you kill something, giving you plenty of time to kill other things and still be able to loot those corpses. Combat in AO is as basic as it gets. You’re given the typical MMO layout, with abilities in a hotbar. You’re able to have different abilities down there based on the weapon you’re holding and the armor you’re wearing, with more options being available as you get better gear along the way. It’s simple, but it works well. One final aspect of Albion Online that’s worth mentioning (for now, at least) is that it caters to both PVE and PVP players. While it’s being touted as a PvP-centric MMO, there are still a ton of things to do for PvE players — and that doesn’t appear to be the case just in the “lower levels”, so-to-speak. While we’re generally enjoying our journey in Albion, there are a few missteps along the way. 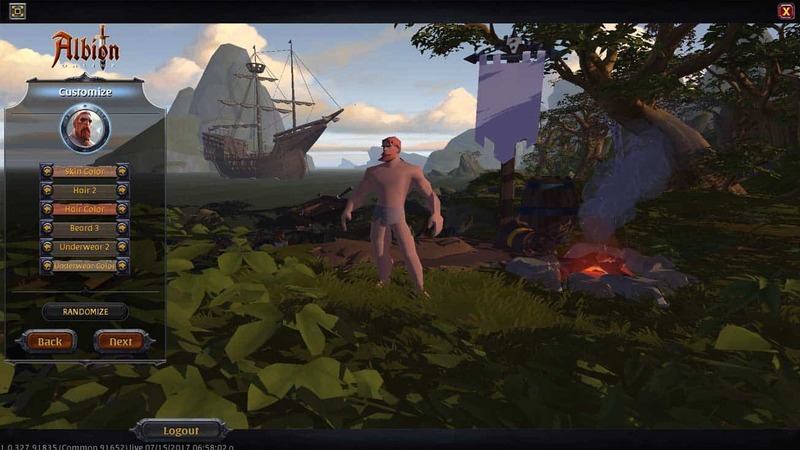 The most immediately noticeable gripe with Albion Online is its lackluster character creator. When first creating your character, you have a very limited number of options in customizing him/her. There are only six appearance categories, each of which only has a few possible selections. You’ll choose only the basics here: skin color, hair color, beard, underwear, and underwear color. It’s an odd design choice that I hope is greatly expanded upon in the future. Especially with this being a crafting-centric MMORPG, there’s another potential for creating cosmetic items later on down the line. Secondly, getting around in Albion Online can be a bit of a chore as well because of the map layout and the fact that there’s no hearthstone of any sort. You literally have to walk/ride your horse (right now, it’s just a donkey for me) every time you want to venture from point A to point B. This means that if you go three towns away to get your crafting mats, you’ll have to journey all the way back three towns again to craft what you need to. Yes, there are other crafting points and cities laid out on the map quite nicely, but if all of your stuff is in the bank at one of the main city hubs like Highland Cross, you’re going to want to keep going back there. Yes, you’ll eventually get your own land to keep going back to, but until that happens, you’re out of luck. Finally, we’d like to be able to have more of a birds-eye view of the landscape than we currently do. As it stands right now, you’re super limited with what materials you can actually see on your screen while you’re traveling. What’s more, there’s nothing on the map that denotes node positions or points to whatever material you’re looking for — and there shouldn’t be — but I’ve love to be able to zoom even further out to see more on my screen at one time. On top of that, you’re stuck with the same isometric camera view; you can’t change the camera direction at all. Not a deal breaker, by any means, but it’s something I’d like to see changed in the future. Generally speaking, I’m quite enjoying my time in Albion Online. Again, I’ve always been a huge fan of crafting in MMOs, and that’s probably why I’ve already played so much of AO already. The obsession is growing quickly, and even as I’m writing this review, I am thinking about jumping back in later tonight. For now, at least, Albion is taking a significant chunk of my Overwatch competitive playtime away from me, and it looks like I’m going to have to figure out how to balance the two equally. Point being, if you love crafting and are even remotely interested in Albion Online, I highly recommend jumping in immediately. With the basics now behind me, the plan today is to purchase my own island and start toying with the building placements and crafting building-related items. We’re still not ready to jump into any of the PvP stuff just yet, but probably by the weekend, we’ll have our proper boots strapped on for PvP combat. So for now, stay tuned to Nerd Much? for an updated Albion Online review tomorrow, and expect a final review score after the weekend.